Service times, directions, and what to expect upon your first visit to Oak Hill. We know meeting someone for the first time can be intimidating, and going to a new church for the first time can be nerve-racking. We want to help make your first experience at Oak Hill a great one! 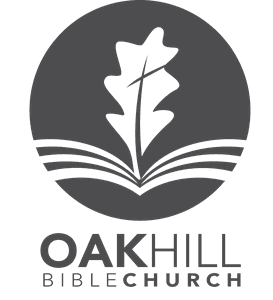 Oak Hill meets at 10:15 AM every Sunday. Oak Hill meets weekly at Pico Canyon Elementary School in Stevenson Ranch, California. Plan your visit with directions by clicking here. How long is an Oak Hill service? In total, an Oak Hill service (we call it a gathering) is about 90 minutes in length. The service order and style may change a bit from week to week, but you can always count on hearing a faithful exposition of God’s Word, corporate worship through song that's driven by a Christ-centered theology, and authentic fellowship of the saints. What's the culture like at Oak Hill? Sunday's at Oak Hill are driven by sound teaching and biblical worship, and they're familial and casual. Come as you are and expect to feel welcomed as our guest. We believe that kids should have a great time at church while they hear the Gospel proclaimed every single week - and at Oak Hill, we make this a priority. The other thing we make a priority is your children’s safety. Because of that, we have a detailed check-in process for our Acorns Children's Ministry the first time that you visit. You’ll want to leave yourself an extra ten minutes to get signed in for the Acorn & Seedlings. 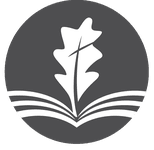 Acorn Ministries are offered at every gathering for infants through kids in Grade 5. Ready to check out Oak Hill in person? We can't wait to meet you in person. Simply fill out the form below and we'll make sure to get you connected upon your first visit. To Christ Alone be all Glory. Copyright 2019, Oak Hill Bible Church. All Rights Reserved.